Access Graphical representation of data by field owing to link with Map Maker. Compare fertilizer recommendations/requirements with actual application and resultant yields as well as a history of all soil samples done. Determine best variety for each field based on historical performance. Generate profit and loss report for each field, variety or season. Control Stock of chemicals, fertilizers etc based on material purchases and usage. Enquires of all stock movement on any stock item can be done to assist with explaining discrepancies. Monitor cost of operations completed on each field as well as get costs and income per hectare, ton yield, per variety, broken up into the cost categories ie fertilizer, chemicals, labour, mechanical and harvesting. Record all rainfall and irrigation can also be recorded so that yield per 100mm of moisture can be extracted. Rainfall graphs can be produced. Keep Soil and Leaf Analyses - all sample results can be imported electronically or manually entered. Link with the Plan-A-Head Payroll System. When employees work in a particular field this is recorded with their attendance. This then feeds into the Payroll Program thus giving labour costs per hectare/ton. Link to the Plan-A-Head Financial System. All purchases of chemicals, fertilizers and other stock can be entered via the Financial System and downloaded into the Plan-a-Head Vegetable Management System’s stock records. This means that when these materials are used on any field the correct costs are allocated. Income generated per field can also be imported into the Plan-A-Head Financial System. 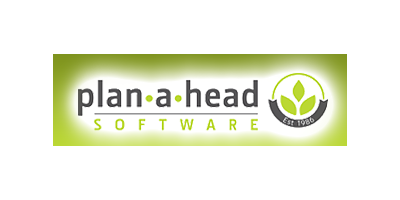 No reviews were found for Plan-A-Head - Grain Management Software Program, Grain Management System. Be the first to review!